L’histoire d’un jeune imam et ancien dévot de Michael Jackson qui part en vrille, après la nouvelle de la mort du roi de la Pop. The sudden death of Michael Jackson sends a former King of Pop devotee – now a young imam – into a tailspin, in this tender and comedic film. On 25 June 2009 the news of Michael Jackson‘s death took the world by storm affecting many, especially an Islamic cleric whose nickname was « Jackson » during his school days. But, what does a preacher have in common with the King of Pop? 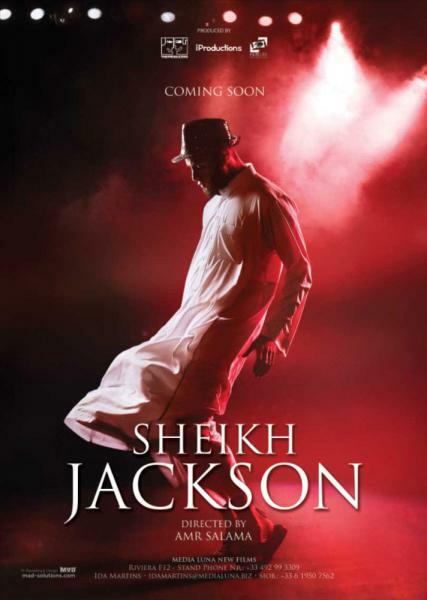 More importantly, can he now go back to his normal life, or will his memories and relationships with his loved ones raise the most prominent question in his mind: is he the Sheikh, Jackson, or both? Produced by Mohamed Hefzy and Hani Osama.